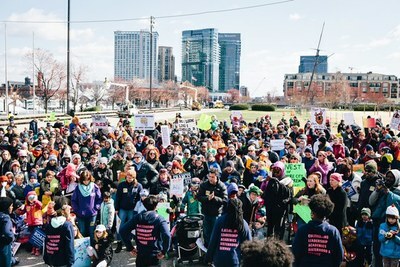 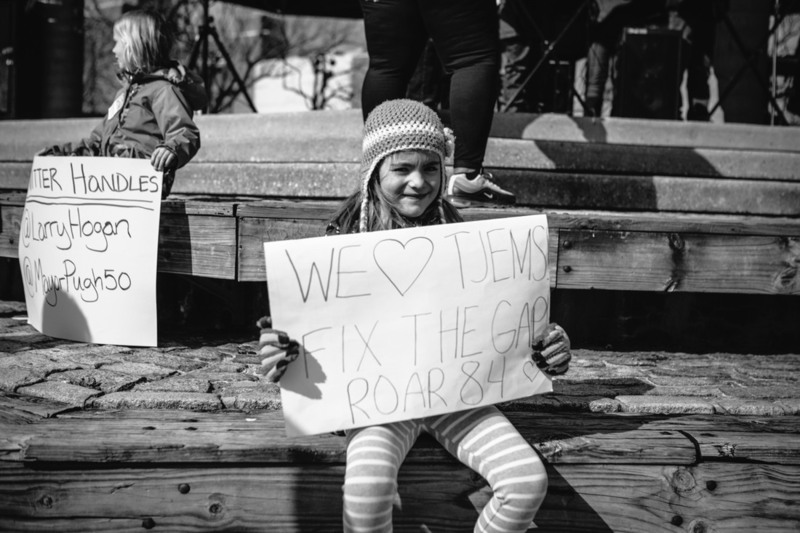 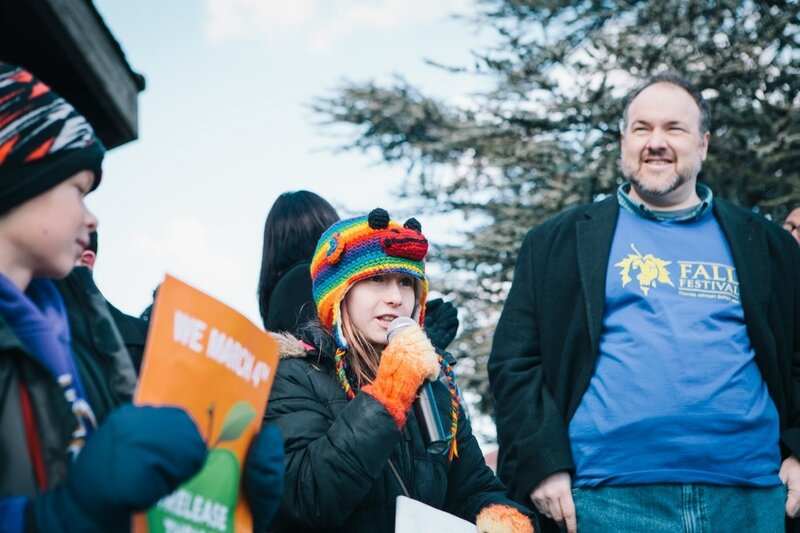 On March 4th, nearly 1,000 parents, teachers, principals & students came together for DBFA's We March 4th rally to demand city and state leaders release a concrete plan to address the $130M shortfall facing city schools. 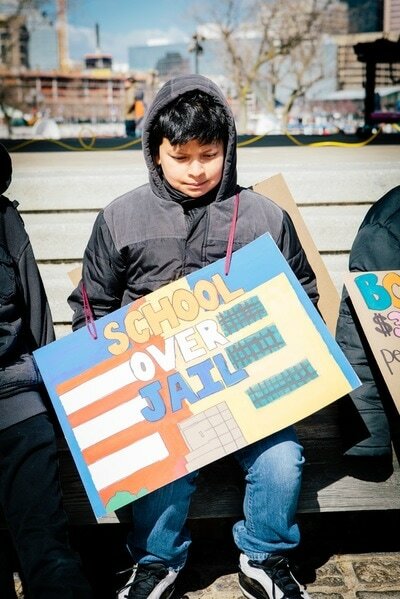 After nine years of working to reverse the trend of middle-class flight, DBFA is finally seeing families stay in the city as they move from the stroller years to the school years. 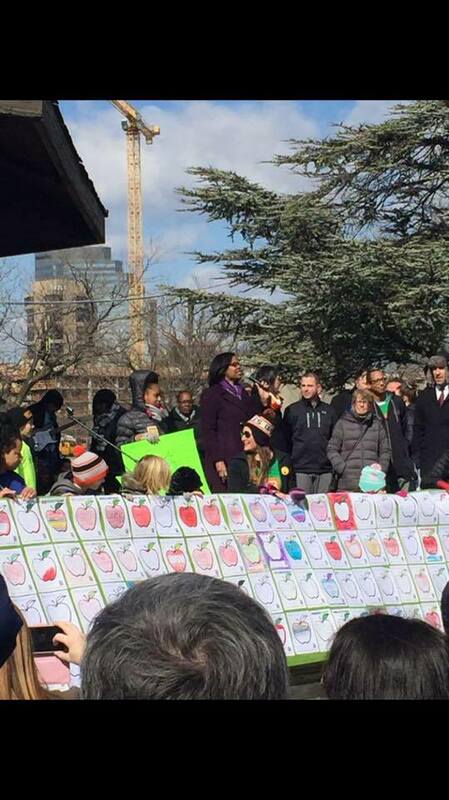 Concerns about school quality are the number one reason families cite when moving out of the city. 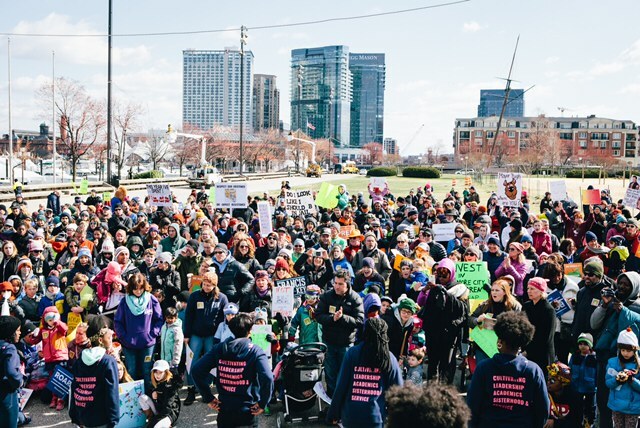 Speaking to the Baltimore Sun, DBFA Executive Director Elizabeth Degi Mount said, "We have finally turned the tide of couples leaving the second they decide to have kids. We cannot afford to go backward." 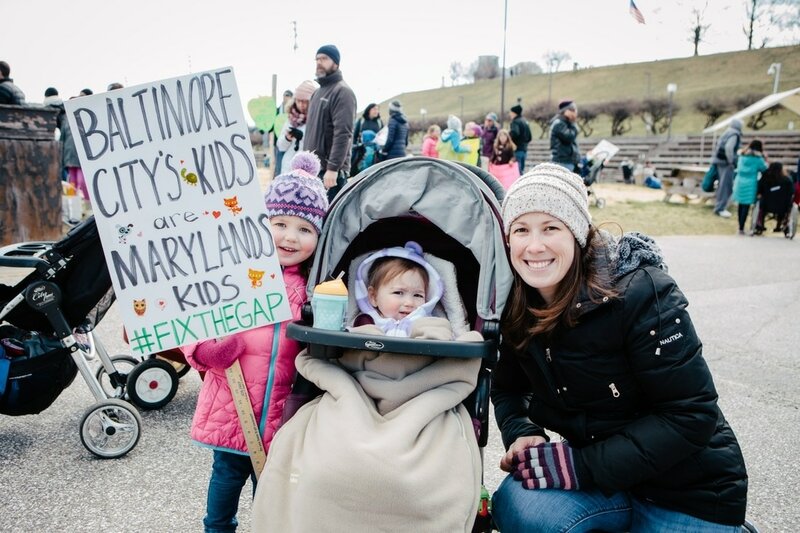 Mount emphasized that fixing the gap is vital to Maryland's economy. "The city is the center of business and commerce for the state. 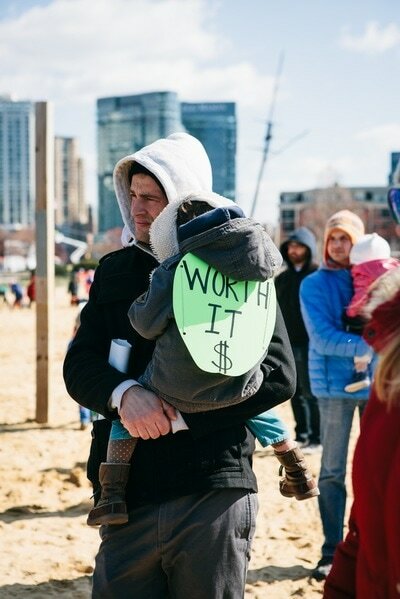 Keeping families in the city helps build the tax base, and spurs industry. For Maryland to do well, Baltimore has to do well." DBFA is demanding Gov. 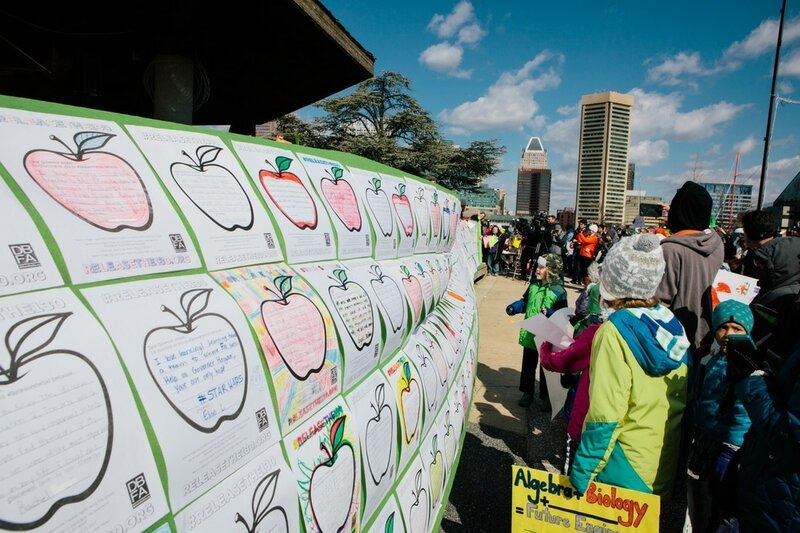 Hogan provide equitable funding to City Schools, as mandated in the Maryland Constitution. 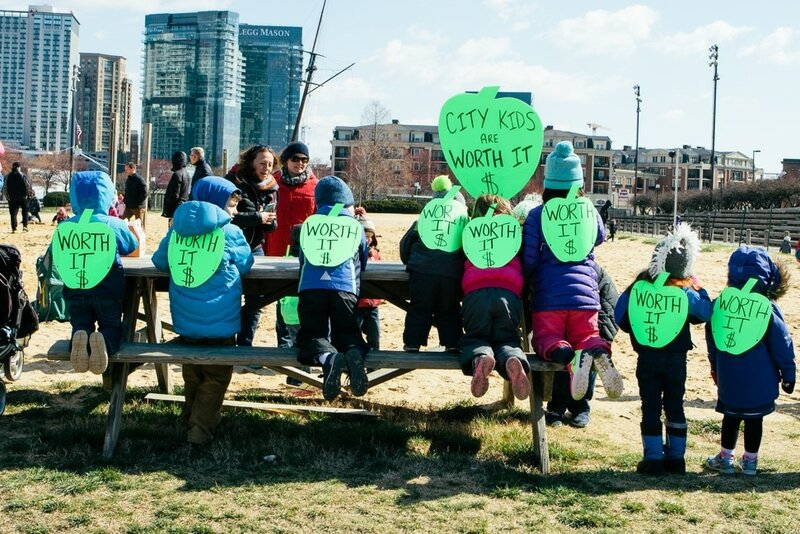 A recent audit found that the state should provide $387 million more annually to the city school system than it is currently. Speaking at the rally, City Schools CEO Dr. Santelises said, "this money is an investment in the future leadership of our city, of our state, of our country and, frankly, of the world." 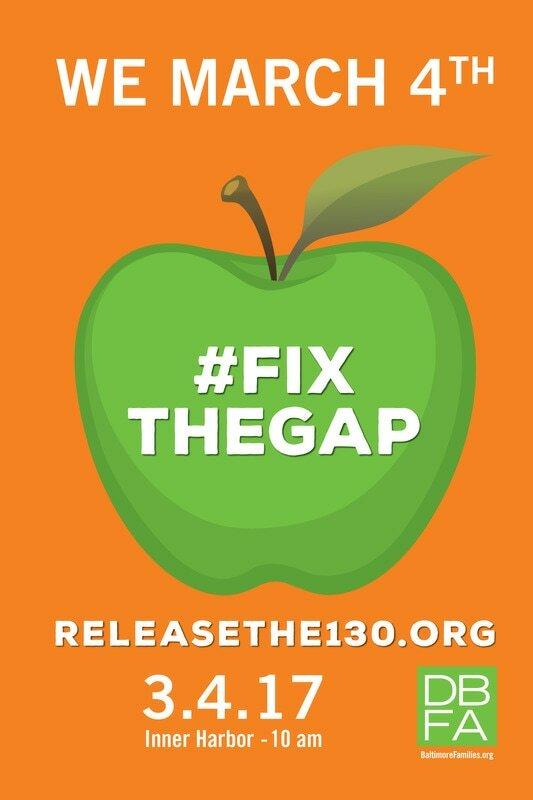 Please support our ongoing advocacy to #FixtheGap by joining DBFA today.